Hunawihr is a village in the Haut-Rhin department in Grand Est in north-eastern France (population: 587). 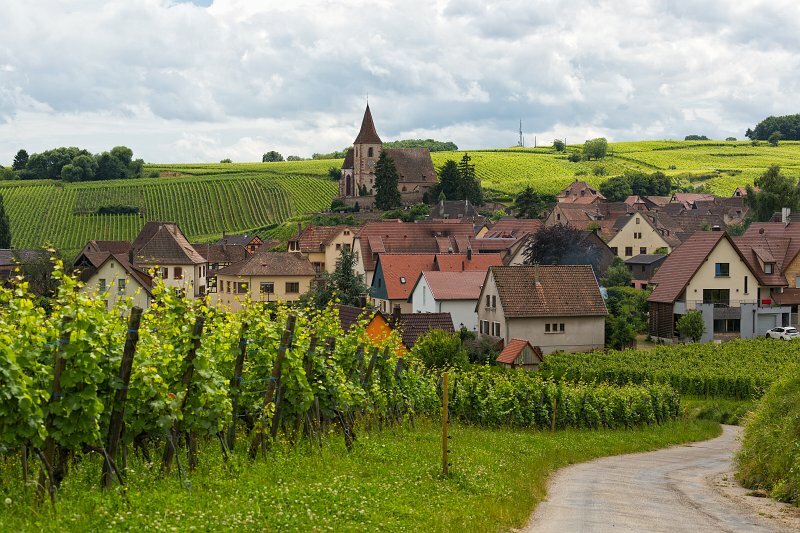 It is located on the Alsace Wine Route, in a vineyard setting. Hunawihr is a typical Alsatian village, classified among the Most Beautiful Villages in France (Les Plus Beaux Villages de France). Hunawihr was founded in the 7th century by Hunon. His wife, Hune, the saint of washerwomen,gives its name to the village. The pilgrimage of Saint Hune, who was canonized in 1520, grew up around the fountain situated at the foot of the village, the tradition claiming that she came there to wash the clothes of the poor.